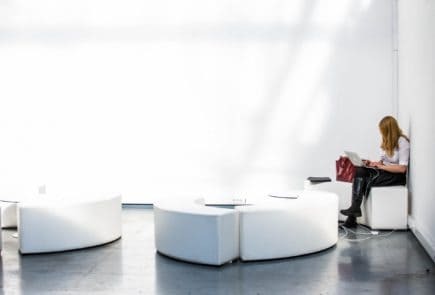 The purpose of this ranking is to provide potential grad students with a list of the most affordable online MBA Entrepreneurship degree programs. In today’s economy, a graduate degree can mean the difference of thousands of dollars over a lifetime earning. Traditional graduate programs require students to attend on-campus classes, which usually means relocating family and other undesirable expenses. Cheap online MBA programs allow students to stay where they are and still earn an affordable, quality degree. Schools that were ranked in more than one of the lists above were given higher rankings in our awards. Below is EDsmart’s 10 most affordable online MBA Entrepreneurship programs. At #10, Northeastern University has one of the top-rated business schools in the U.S. as ranked by Bloomberg School Rankings, Forbes magazine, and U.S. News and World Report. As of 2016 The U.S. News and World Report has ranked NU as the 36th best online MBA program and 17th best online graduate business program in the country. NU is nationally and regionally accredited. US News also ranked NU as the 6th most innovative school and it currently sits at #47 for the Best National University in the U.S. 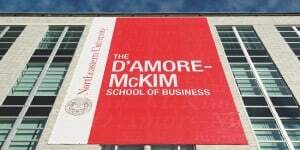 Recognition and affordability make Northeastern University’s D’Amore-McKim School of Business a top choice for earning an MBA or Master’s in entrepreneurship. Although #8 on our list, Temple University’s Fox School of Business has been ranked as the #1 business school in the U.S. This school offers one of the most affordable online MBA Entrepreneurship degree programs in the country. Temple is accredited nationally and regionally. This university consistently earns spots in Forbes magazine, The Princeton Review, and U.S. News and World Report. Recently, Temple University’s Online MBA Program was ranked as the best online MBA program in the country by U.S. News and World Report. Nationally, they were ranked 115th. U.S. News also ranked them 55th in Top Public Schools and 94th in Best Colleges for Veterans. 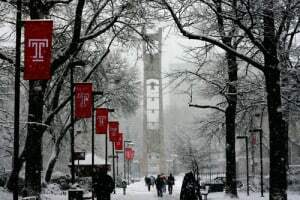 Due to it’s rigorous academics and research, Temple University is ranked 356th in the Best Global University rankings. At #7, the University of Massachusetts offers a very affordable MBA in Entrepreneurship via the Isenberg School of Management. U.S. News ranked UMASS 12th for Best Online MBA programs. UMASS is one of the toughest schools to get into with a competitive GMAT average of 648. The school is accredited regionally and nationally. 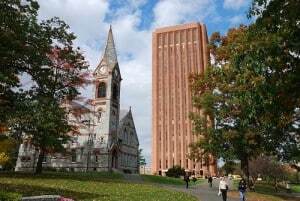 UMASS was recently named as one of Kiplinger’s Best College Values. The university ranks 75th for Best University in the U.S. and 74th for Best Business School. This school’s affordable tuition and high ratings makes UMASS an EDsmart top pick for the affordable online MBA in Entrepreneurship program rankings. Don’t let the location name fool you, Eastern Michigan University offers a great MBA program for a low investment. 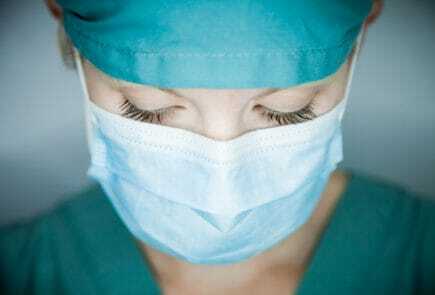 EMU is accredited nationally and regionally. This school has recently earned rankings in U.S. News and World Report’s Best Regional University in the U.S. (#85) and Top Public Schools (#27) lists. EMU was recently named a best college for veterans. 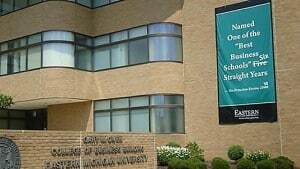 Average starting salaries for Eastern Michigan University College of Business alumni are at a solid $56,00 with mid-career salaries at $105,000 according to Payscale.com data. Southern Adventist University’s School of Business offers a fully accredited online entrepreneurship MBA degree program. 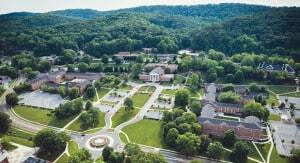 This Christian university provides Christ-centered business principles and moral and ethical guidelines. Ranked 25th as a best Regional College and 18th for Veterans by U.S. News, SAU was ranked as having one of the Best Online MBA Programs in the nation. Besides having an affordable tuition, students at Southern Adventist tend to receive ample financial aid. Of all Seventh-day Adventist schools, Southern is considered one of the most conservative. At #4, University of South Florida’s Muma College of Business’ MBA program was ranked by Bloomberg Businessweek as the 11th Best Public School in the Nation and 130th by U.S. News and World Report for part-time MBA degrees. Over the years, USF has received multiple recognition from prestigious ranking organizations. Overall, USF was recently named as the 156th Best National University in the U.S. and 84th Top Public School in the nation. The University’s online programs earned a ranking of #27 for for Best Online Graduate Business Programs (Excluding MBA). 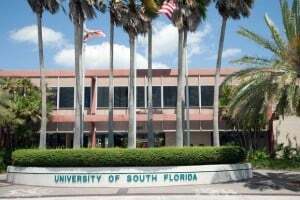 Graduates of the University of South Florida College of Business earn an average starting salary of $63,000 and median-career average salary of $106,000. These accolades and affordable tuition earn USF a spot on EDsmart’s Best Online MBA in Entrepreneurship Programs rankings. Earning a top spot as #3 on our list of most affordable online MBA in Entrepreneurship is Post University. Post university touts a spot at #136 on U.S. News and Report’s Best Online MBA Programs and its ranking in the Best Online Graduate Business Programs (Excluding MBA) list. 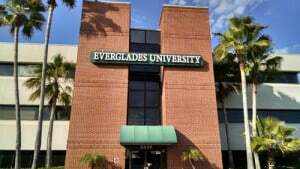 This university earned a spot on Payscale.com’s best return on investment colleges. 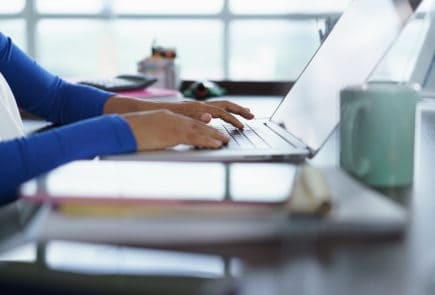 The online MBA program and entrepreneurship emphasis provides students a path and skillset offering them successful entrance into the business world. For all Post University alumni, the average starting salary is $48,500 and a mid-career salary of $69,700, according to Payscale.com. Sitting at a solid #2 on our list, the Spears School of Business at Oklahoma State University offers an extremely affordable online MBA entrepreneurship program. 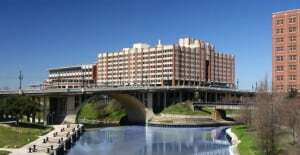 OSU consistently earns recognition from top university ranking entities. U.S. News and World Report places Oklahoma State at 46th among Best Online Graduate Business Programs, 149th for National Universities, 93rd for Best Undergraduate Business Programs, 79th in Top Public Schools, and 86th for Part-time MBA rankings. Graduates of Oklahoma State University (OSU) – Spears School of Business earn an average starting salary of $70,700 and average mid-career salary of $112,000, one of the highest on our list. According to EDsmart criteria, the University of Houston offers the most affordable online MBA in Entrepreneurship. The Princeton Review recently named UH in their Best 380 Colleges report and also ranked them as the #3 entrepreneurship programs for undergrads. U.S. News and World Report named the University of Houston as the 187th Best National University, 93rd Best Undergraduate Business Program, 105th Top Public School in the nation and 48th among Part-time MBA programs. UH C.T. Bauer Colleg eof Business alumni earn an average starting salary of $69,600 and mid-career salary of $131,000. The University of Houston provides students a diverse, quality, and affordable education for in-state graduate students. 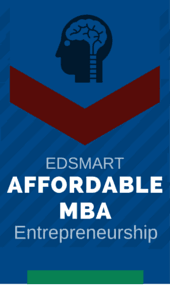 Congratulations on making EDsmart’s 10 Most Affordable Online MBA Entrepreneurship Programs. 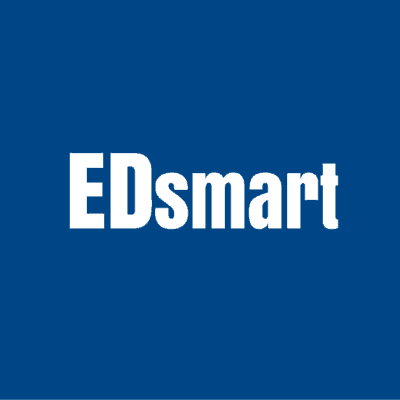 If your university’s data is incorrect, please send an email with the correct information and 1-2 online sources to fact check to tstevens@edsmart.org.